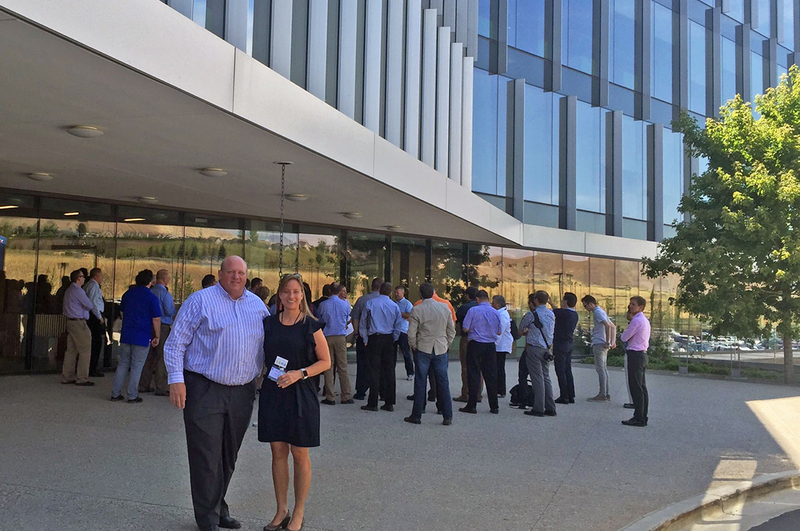 Staff planned, moderated, and participated in a mobile tour highlighting Utah’s technology cluster in and around the Point of the Mountain. The Ogden Business Exchange project provided an opportunity to revitalize a blighted vacant site and return it to productive use. The project targeted users in leading-edge industries, including advanced manufacturing processes. Development of the park enhances Ogden’s ability to attract major companies and create high-quality, high-wage jobs. Water service to the Ogden Business Exchange site was insufficient to meet the needs of this business and light industrial park. 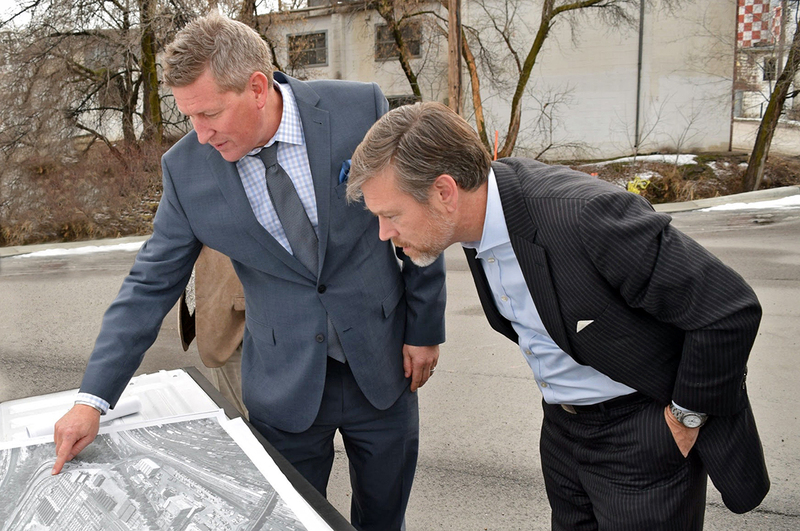 Ogden City sought investment dollars to construct a new waterline to serve the Ogden Business Exchange. – Project partially funded with US Economic Development Administration (EDA) investment dollars (FY’15). Quatere Cohorts is a unique peer-to-peer entrepreneurship-mentoring program that identifies innovators in every field and trains them to be successful entrepreneurs and value creators. Quatere’s program is less focused on building companies and is instead designed to improve the capabilities of its individual participants who in turn build successful companies—i.e., it is focused on developing the talent pipeline. The innovative Quatere Cohorts program teaches entrepreneurs precision execution through in-person and online programs. Through the Regional Innovation Strategies (RIS) Program, Quatere seeks to leverage public-private partnerships to scale its existing Quatere Cohorts Innovation Centers to reach the underserved rural innovators throughout Utah. The innovative Quatere Cohorts model is a peer-driven, experiential learning program that guides innovators from idea conception through development and value creation. Quatere will design and develop a virtual version of its training program that will be utilized by rural, remote innovators and that will be marketed throughout the state. – Project partially funded with US EDA investment dollars (FY’15). 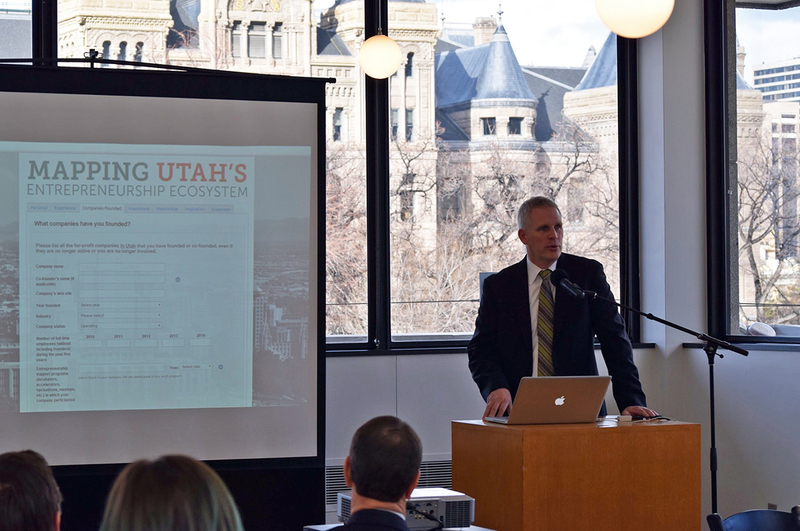 A group of Utah businesses and local governments gathered together to form a consortium around supporting Utah’s Advanced Composites Cluster. The consortium developed a strategy and sought support from the US EDA for funding and designated it as an Investing in Manufacturing Communities Partnership (IMCP) designee. The consortium’s strategy was to: focus on creating an implementable plan based on strategies aimed at building the economic ecosystem infrastructure, innovation environment, workforce capabilities; strengthening the national and export markets; and recruiting a capital market to support our Advanced Composites Cluster. The consortium received IMCP designation and is now known as the Utah Advanced Materials and Manufacturing Initiative. – Project received IMCP designation from US EDA (FY’15). 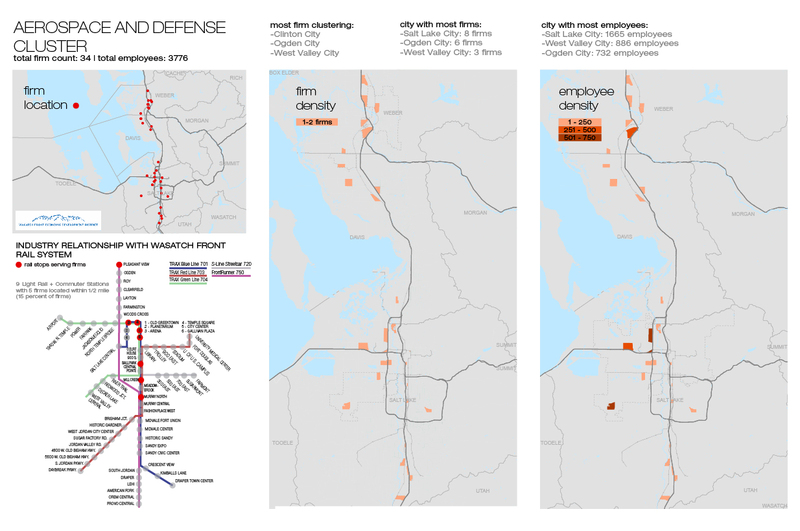 As part of a regional economic development strategy, staff analyzed our state’s employment clusters. 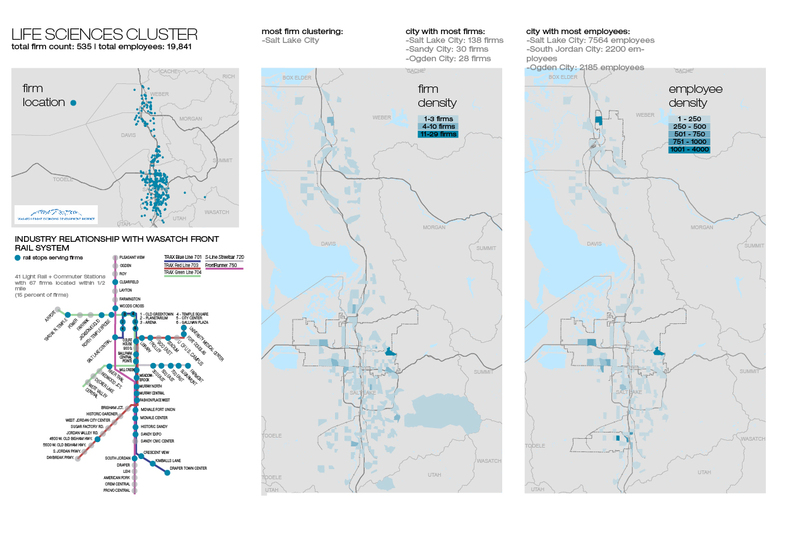 Staff identified where clusters exist within the Wasatch Front region and created maps to display them geographically. 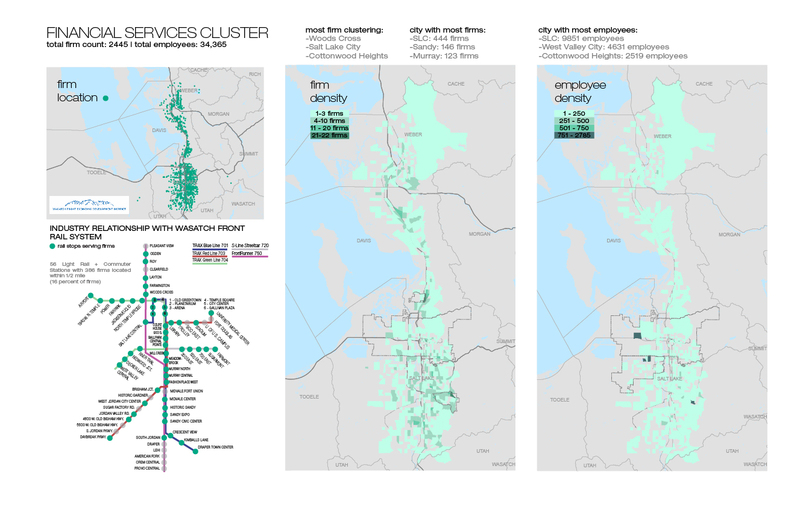 This spatial identification will assist stakeholders in maintaining appropriate infrastructure to serve the unique needs of the employment firms and can guide future land use policy to shape areas into desirable places to work and live. 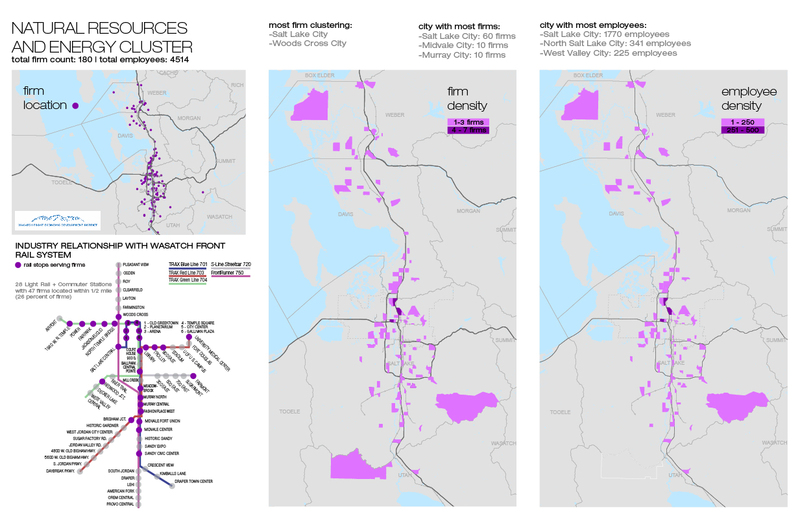 Ongoing analyses of these clusters may aid in strengthening targeted efforts, and may support network development within the clusters. The study of urban street design is a field of research that utilizes quantifiable measurements to grade the design of a street. How a street is designed affects an individual’s decisions on how they interact with the environment—whether they are comfortable walking and bicycling from activity to activity, or whether they believe they need to drive to each destination. 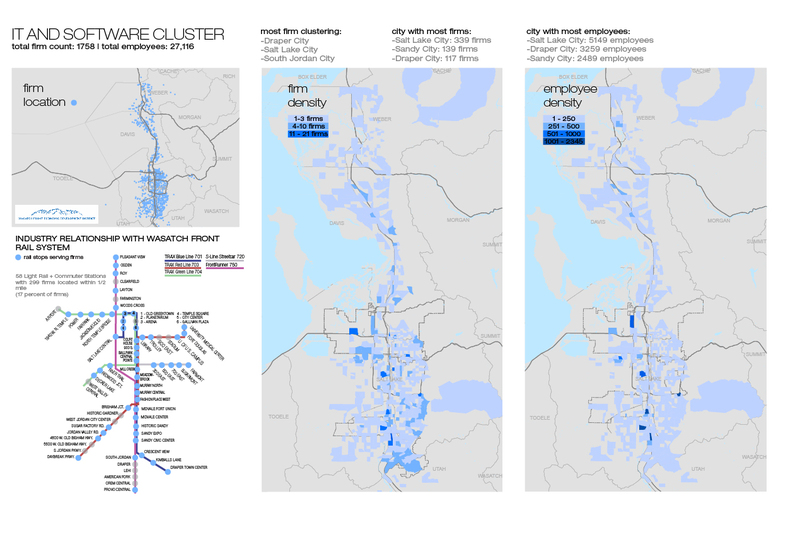 In addition to affecting the mode of travel, the built environment also affects how attractive, and ultimately, how economically viable an area will be. 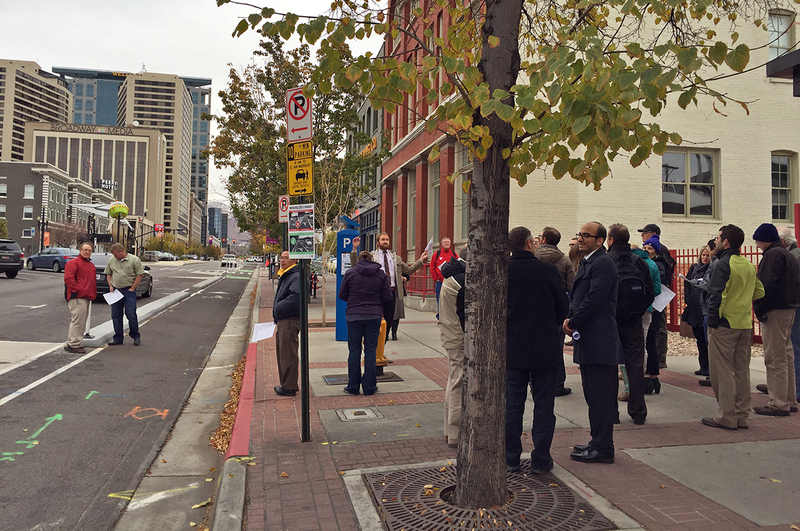 Because street design is related to economic growth and development, it is important to study why and how successful streets can influence job growth, revenue, and overall attitudes toward a particular area.